You've got something to say and we want to hear it. Join us for a special round of Lightning Talks in honor of International Women’s Day on Wednesday, March 8th from 6:30-8:30PM at General Assembly. The format: think open-mic night for people with stories to tell and ideas to share. Come to listen and learn or to get up and speak! Past speakers have talked about everything from the future of AI and why women should get more involved to how to harness your inner magic. You can watch a recent round of talks here. As always, we'll be starting the night with our signature guided networking. We're all about great conversations and real connections (and wine!). Want to be one of the 10 women who speaks? Talks are just three minutes and our audience is warm and friendly. Seriously, they're the best. Grab your ticket and answer a few short questions here. We’re mixing it up this month and using the IWD theme of Be Bold for Change. We're on a mission to inspire the catalyst in every woman with powerful storytelling, lasting community, and the best resources. Come see what we're up to! 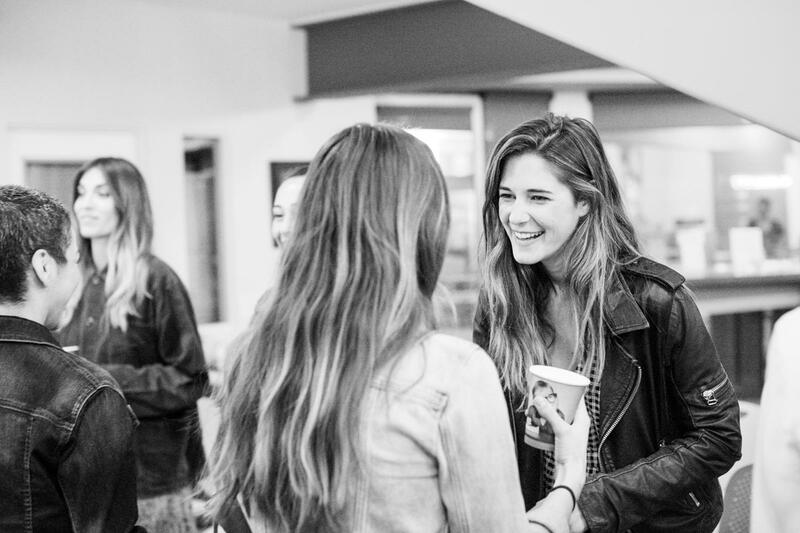 Women Catalysts is always an inclusive community – all are welcome and encouraged to join. This event is generously hosted by General Assembly with snacks and gift cards from our friends at Good Eggs. General Assembly is a pioneer in education and career transformation, specializing in today’s most in-demand skills. The leading source for training, staffing, and career transitions, we foster a flourishing community of professionals pursuing careers they love. For more information on how we can help your career, check out ga.co. Before March 1; limited quantity available.